My Pieces of Time: Busy Times! I didn't realize it had been so long since I posted, but with the Holidays and lots of crafting stuff as well, I have been super busy! I wanted to share a few projects with you today. One is my DT project for January's Prima Product Pick. There are a couple of brand new CHA products on this project as well as some older ones too! 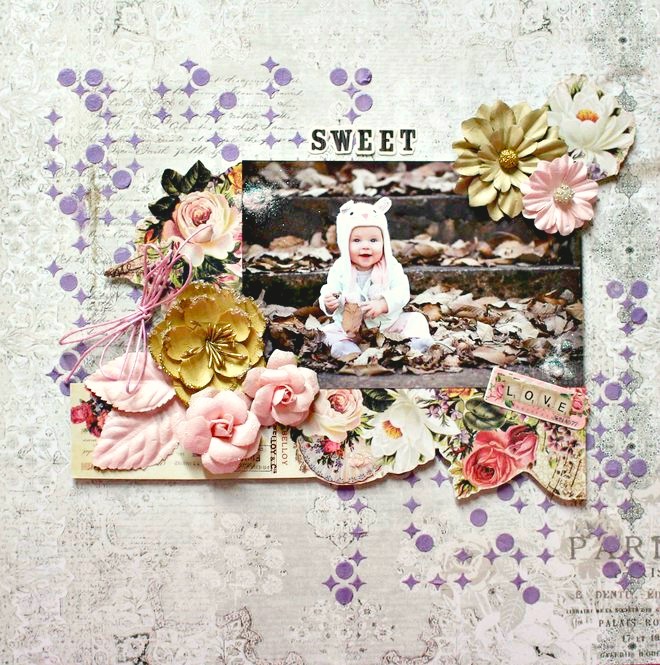 Here is a card that I created for CHA, it's posted on the Prima blog so I can share it, it features some new awesome Christine Adolph foil rubons! They are fabulous!! Check the Prima blog daily for more sneeks!!! Last, but not least, I have been creating for Anna Griffin's January 26 HSN show! Lots of new goodies, I can't share projects yet, but you can see some of the products on Anna's blog and you can also sign up to win some of them each week!!!! I will be back with more projects soon! Hope you all have a very Happy New Year!!! Happy New Year! Beautiful creations! Prima "Tales of You & Me"